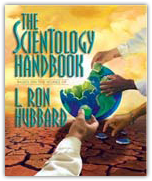 In this section, L. Ron Hubbard dissects this phenomenon of the dangerous environment, providing methods that will not only help you overcome your fears, but allow you to help others. Applied on a broad scale, this information brings about an enormous calming influence and enables people to lead happier lives. Used on an individual scale - by you - it will enhance the lives of your family, friends and associates.